I finished my dress in time for our engagement party. Vintage Simplicity pattern 5707, made with a burgundy silk charmeuse and a detachable velvet flocked tulle overlay skirt. It's the perfect party dress, it felt so special. I didn't have to change much to this pattern. It was already cut out, and whoever owned it before me had elongated the bodice, so I made the muslin with that alteration. All that needed to be done was take up the shoulders a bit and make the back smaller at the zipper! So easy. I was very careful while sewing the silk, I used silk thread and held the fabric taught while sewing. The finished product doesn't have any dimples. The hardest part about sewing this dress was gathering the tulle for the skirt. I sewed through the velvet polka dots and the gathering stitches were stuck in the velvet and broke. So I had to make several rows of gathering stitches. The only thing I don't like about this dress is that the facings around the armhole won't stay down. After I put the dress on I have to tuck them in. I did understich them and tack them down at the seams. 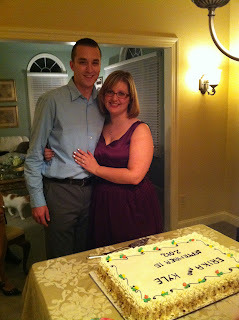 But over all I'm glad I made my dress for this occasion, I think it made it even more special. 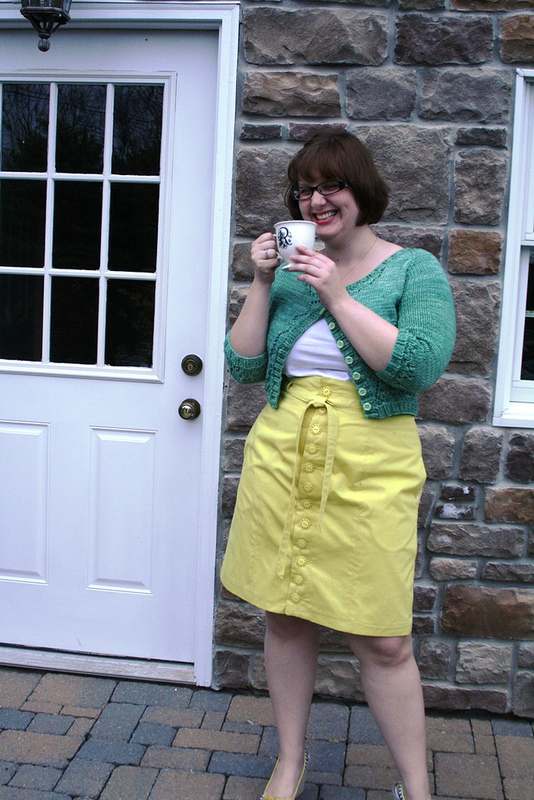 I am Colette Pattern's Featured Seamstress! You can see the post here. 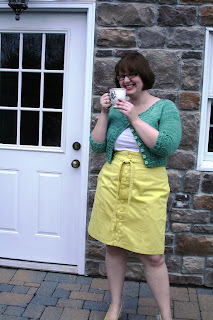 I'm wearing my yellow beignet skirt and the meitte sweater, both were made for Colette's spring palette challenge! So nice to be featured, Thanks Colette Patterns! I've been working on this pattern for a little while now. I made several muslins and realized that a short sleeved kimono sleeve is not for me. 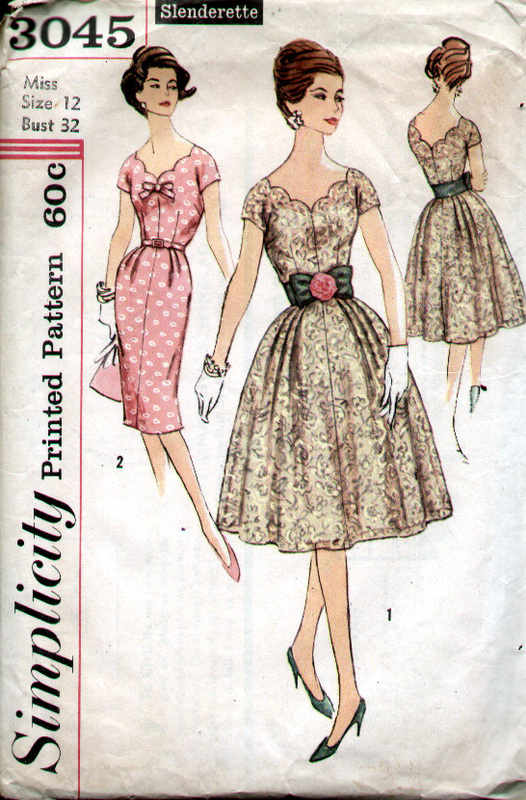 So I tweaked the patten a bit, using the scalloped neckline from the vintage pattern and the basic bodice from simplicity 2444. The scallops are subtle, and the open neckline is flattering. 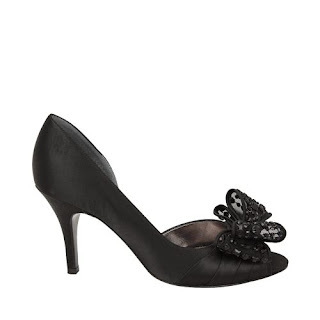 It is a good transitional piece for the fall. I used a cotton from B&J in NYC. It has a bit of stretch to it. The fabric gets a little more wrinkled than desirable, sitting down makes the skirt a mess! It did not seem this way in the store. Oh well. For this dress I used some different techniques, the vintage pattern suggested I stabilize the waistband with some stay tape, after is is sewn all together. I used hug snug on that seam, as well as turning in the armholes. Horsehair braid on the hem makes the skirt crazy swirly. I attempted to do a lapped side zip, from this tutorial the famous Gertie posted a while ago, but it doesn't look the same. I had some trouble with the scallops, and I don't think they look as defined as they do in the photo. Maybe this pattern would look better with a different fabric. Sometimes things just don't work out as fabulous as I pictured them. On to the next project! Pin It Now! I have survived the earthquake and the hurricane that hit the east coast, and went fabric shopping! My parents are throwing us a lovely engagement party, and obviously I have nothing to wear. I need to look fabulous, but can't find anything in any store. I did find shoes, that I NEEDED to have, so I decided to sew a dress for the occasion. Simplicity 5707 is something from my stash, and the black dress with the lace overlay was my inspiration. 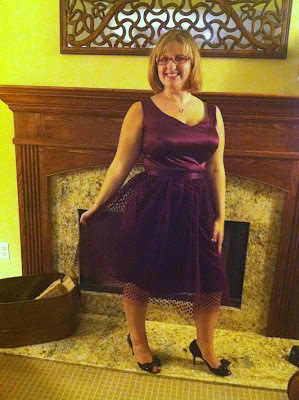 I went with a flocked polka dot tulle instead of lace, in this gorgeous, deep purple/ maroon color. I call it vintage burgundy ooh la la. Silk charmuese in the same color for the dress. I will probably be over-dressed, but oh well.